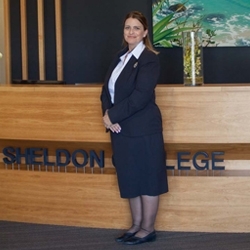 Four inspirational teachers from Sheldon College spanning Kindergarten, Preparatory and Senior College have been selected as part of the 60 State and Territory recipients in the 2017 ASG National Excellence in Teaching Awards. Mrs Cassie McGregor, Mrs Sarah Slade, Miss Ashlea McClaer and Dr David Hughes are leaders in their educational fields. Just last term a group of six exceptional teachers were nominated for the Queensland College of Teachers (QCT) 2017 Excellence in Teaching Awards. 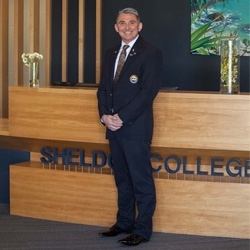 You can learn more about their individual approach to teaching on the Queensland College of Teachers’ website. Mr Murray James (Excellent Leadership in Teaching and Learning), Miss Emma Edwards (Excellence in Teaching), Mr Joshua Long (Excellence in Teaching), Miss Candace Parkyn (Excellence in Teaching), Miss Sarah Hutley (Excellence in Beginning to Teach) and Miss Vanessa Tierney (Excellence in Beginning to Teach). After embarking on a PhD and working as a lecturer in Biological Sciences, David realised his strengths were in making complex concepts simple, and simple ideas compelling. David was sure that with this skill, he could have a major effect on student learning. While exam results are important, David believes that students should leave his care equipped with the necessary skills and knowledge to become self-directed learners and effective communicators, who possess high self-esteem. David has created a virtual learning environment in Chemistry to complement and support his physical classroom. He engages students by communicating in a format they are familiar with and providing feedback for intrinsic motivation. David delivers learning experiences that include certificates, postcards home to parents and student work published in professionally-printed posters. David is motivated by ‘ah-ha’ moments, when students’ eyes light up, realising they have become part of the learning dialogue. Cassie has always felt called to be a teacher, and she wants to leave a legacy in the life of every student she teaches. Cassie’s approach is to fill her young learners’ 'confidence tanks' to overflowing. She aims to inspire them to ‘have a big juicy try’, and to create multiple opportunities to both persevere and succeed. Cassie provides a classroom environment where students are co-creators, thereby resulting in an environment that is child-centred, reflective of class personalities, has flexible learning spaces, and is safe, stimulating and inspiring. By allowing children to grow at their own pace, and by guiding them on their learning journey, Cassie supports her students to develop risk-taking skills and to go from strength to strength. Having developed a keen interest in the Reggio Emilia philosophy of education, Cassie’s goal is to further investigate this creative and child-centred approach to teaching and learning. An inspiring teacher can instil a lifelong passion for learning. Growing up, Sarah was fortunate to have some exceptional teachers. Surrounding herself with like- minded colleagues helps support Sarah’s positive outlook, and even though her students may be working in jobs that do not yet exist, skills of creativity, empathy, self-belief and motivation will never expire. Sarah believes Foundation students need time to develop social and emotional skills and opportunities to investigate their own curiosities and interests. To this end, she incorporates as many hands on engaging activities as possible, rather than worksheet heavy tasks – particularly beneficial for boys. She finds boys respond well to humour, competition, opportunities for movement, clear goals, hands-on tasks and challenges. Sarah’s door is always open and she encourages parents to chat and review their child’s work. Sarah is excited to enter her class each day and wants her students to feel the same. 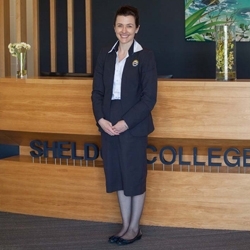 Ashlea has always been passionate about learning, and ensuring that each child has equal access to education. What started as volunteer hours assisting in a centre for children with Autism has sparked a desire to give a voice to those who are yet to discover their own. Ashlea plans for classroom learning with creativity, collaboration and communication. She thoroughly enjoys listening to the children recount their ‘braveness’ wishing Mum and Dad goodbye in the morning and embracing independence to become themselves within a new environment. Ashlea’s program focuses on inquiry based learning through play based experience with the inclusion of music, physical education and drama as additional opportunities for learning. Ashlea indulges the children’s creativity and world view through conversations and takes the time to respond to their challenges and work with them to ensure they are confident to take a risk. The children inspire Ashlea to focus on the fun and laughter of learning whilst ensuring they have realistic boundaries within the classroom.